As we watch our children try on daddy’s shoes or wear mommy’s jewelry, not only does it melt our hearts, but there is something magical happening! Your child’s creative and emotional capacities are developing at an astonishing rate. Imaginative play is not only amusing but also critical for your child’s growth and development. According to Psychology Today, imaginative play is a critical part of your child’s social and cognitive development. 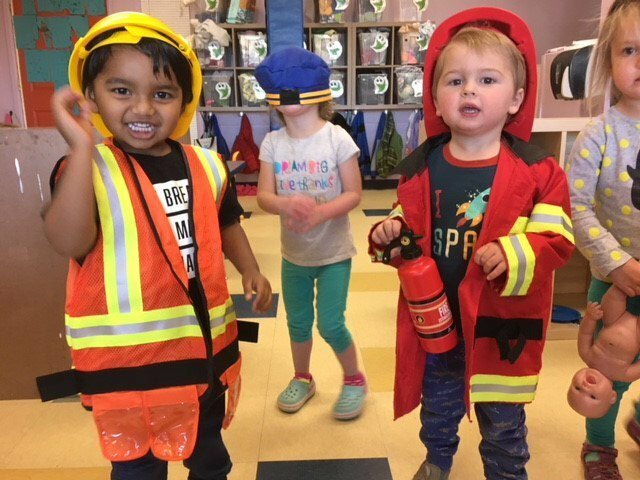 Studies have shown that children who participate in imaginative play show greater language development, self-awareness, organizational skills, and divergent thinking (the ability to come up with different ideas, story themes, and symbols.) Imaginative play also called pretend play, creates a healthy way for children to express their feelings. It also provides opportunities for children to learn emotional self-regulation. Parents can provide opportunities for pretend play by turning off electronics and replacing it with manipulatives and costumes. Kitchen utensils can become musical instruments. Old socks can become puppets. A box of old clothes can become inexpensive dress-ups. The sky is the limit! Sometimes all a child needs is one magical idea and they can do the rest. So, the next time your child plays pretend, plays dress-up, or acts out their own story with everyday objects, be sure to cheer them on! Not only is it great for cognitive and emotional development, but it is also fun! Two things all children need for a great start!